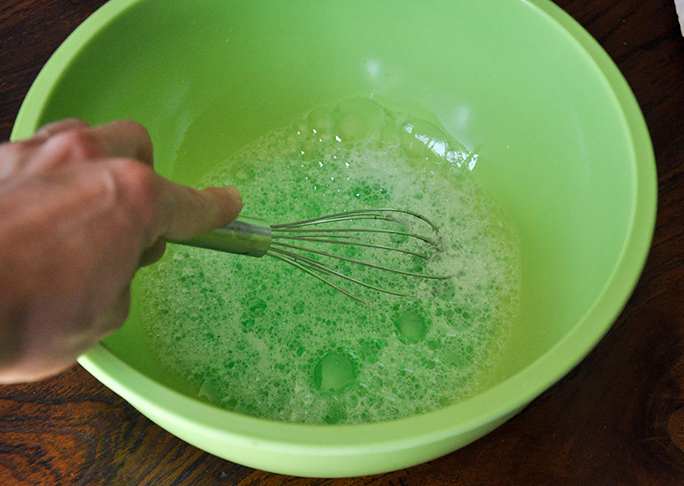 Did you know that bubble mix is crazy easy to make? 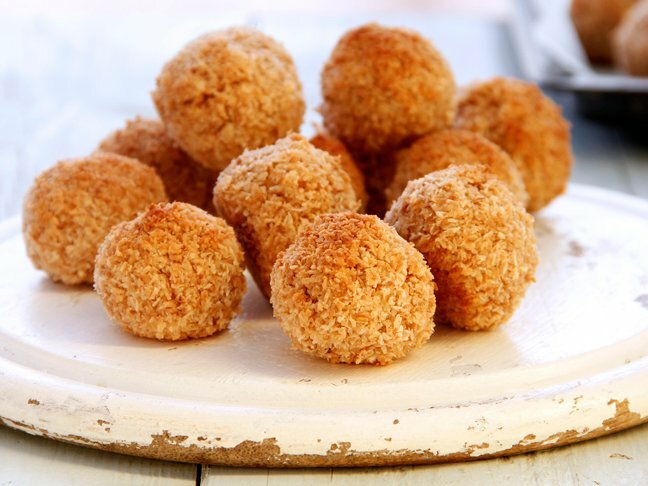 Not only is it easy to make, it’s better than store bought. In fact, I am gonna be bold and say that this recipe for homemade bubble mix is going to be the best you’ve ever tried. 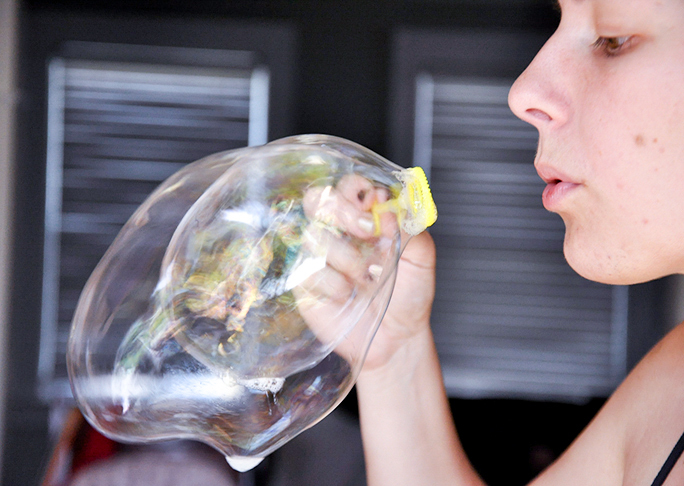 Just look at the size of those bubbles!!! 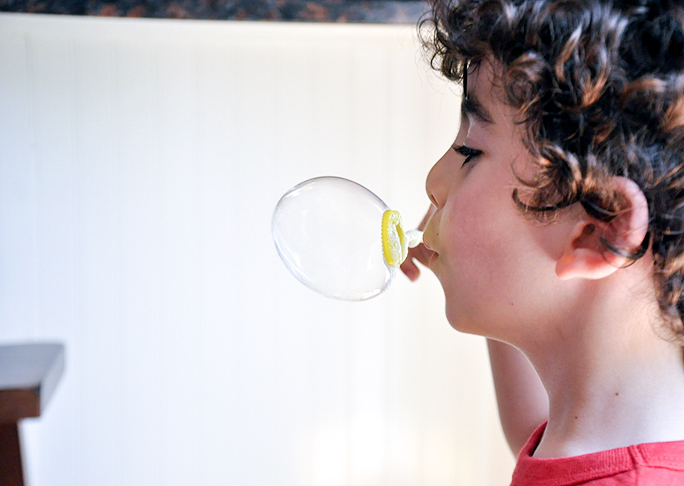 This is an easy sumertime fun activity that the kids can whip up themselves. 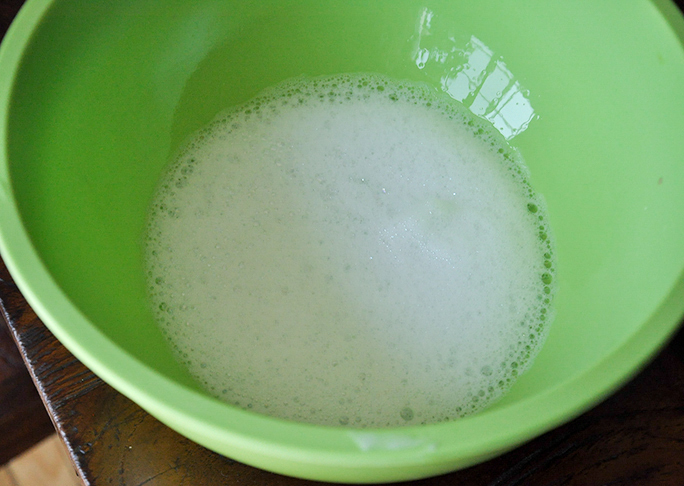 Step 1: In a large bowl, whisk together water, corn syrup, and dish soap. 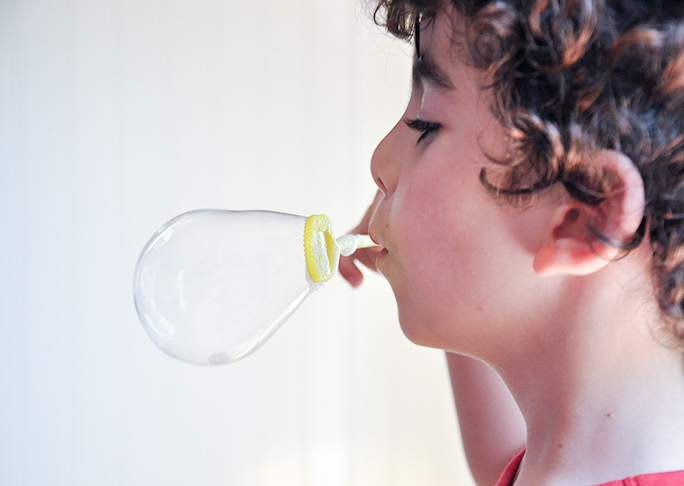 Step 2: Dip a bubble wand into the solution and blow! !